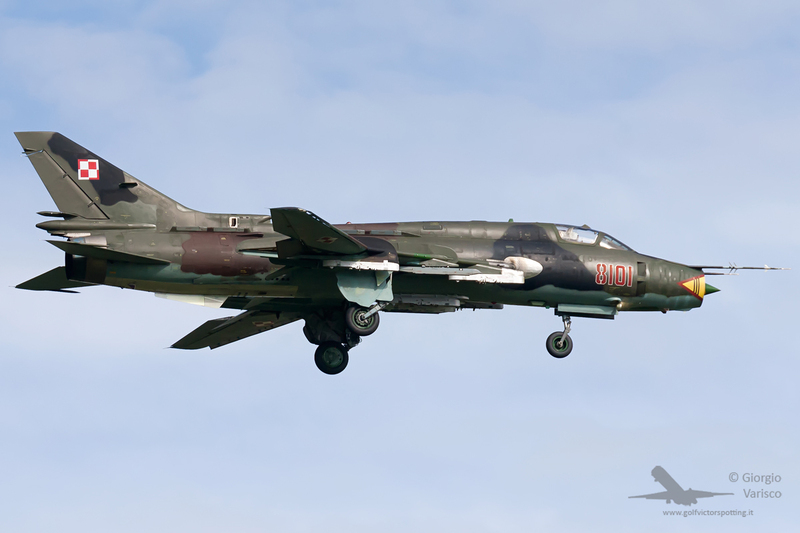 One of the reasons I chose the first weekend was the chance to see the Polish Air Force Sukhoi Su-22, NATO codename “Fitter” (during the Cold War, NATO used to assign codenames to Soviet- and Chinese-built aircraft before their designation was known, in order to identify their roles: the codenames start with F for fighters, H for helicopters etc.) 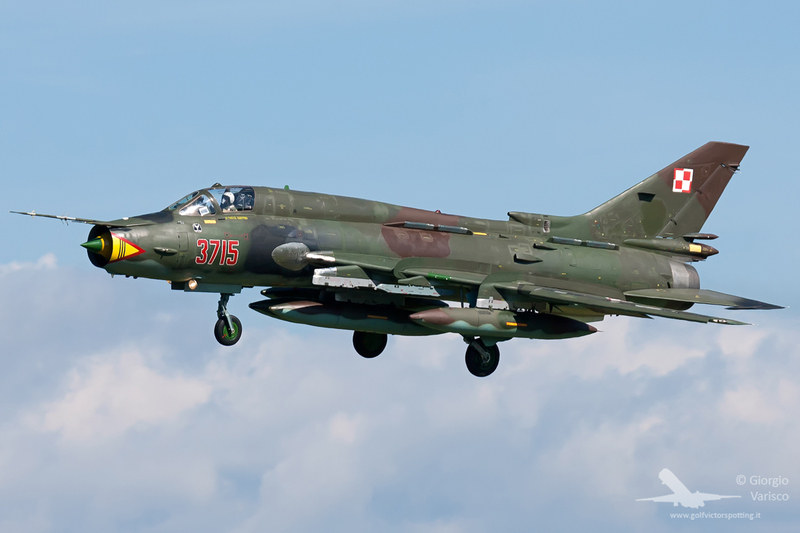 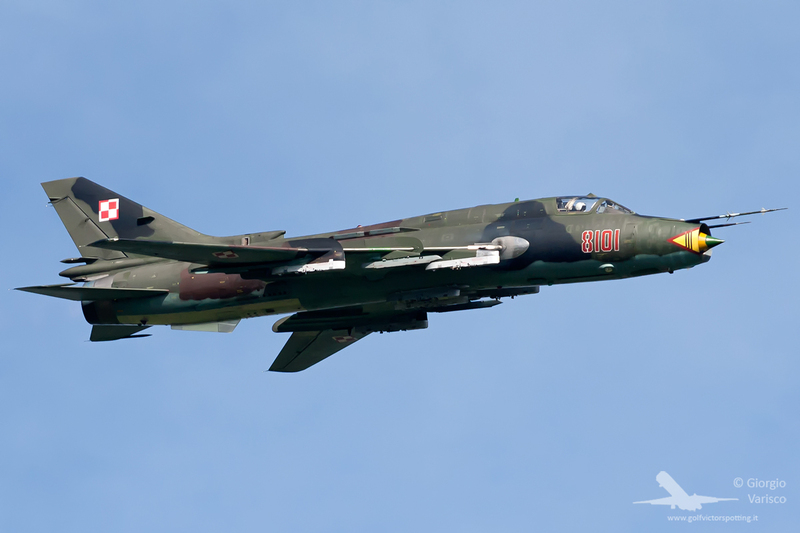 The Su-22 is basically a big jet engine with some airplane parts attached to it, and it is used in a ground attack role. 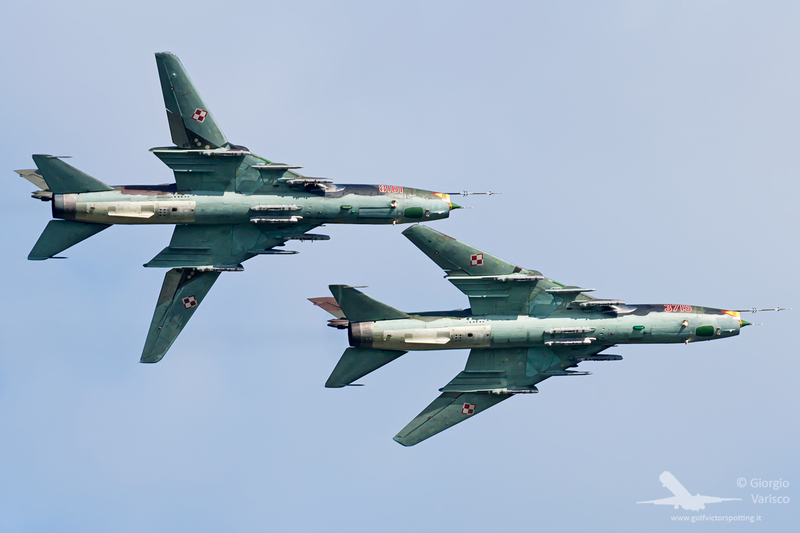 The Su-22 features a variable-sweep wing, as can be seen in this picture. 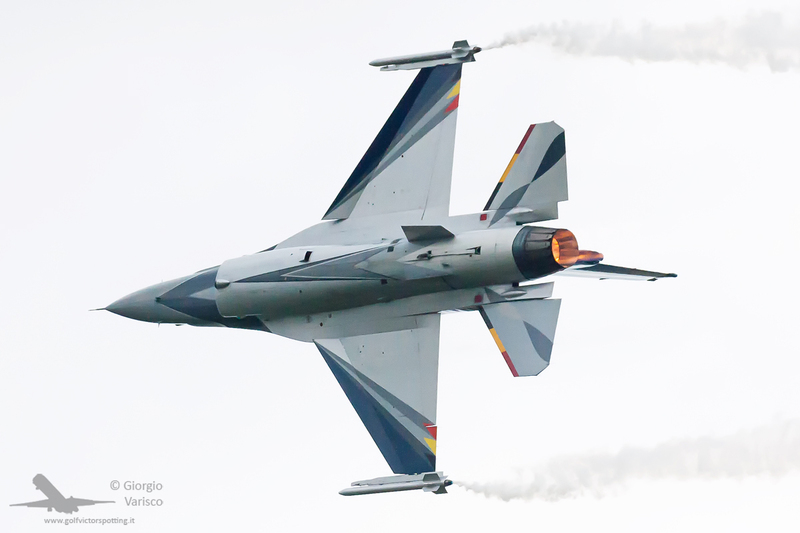 The lead aircraft is keeping the wings at maximum sweep: this decreases aerodynamic drag at transonic and supersonic speed, allowing the plane to fly faster while burning less fuel. 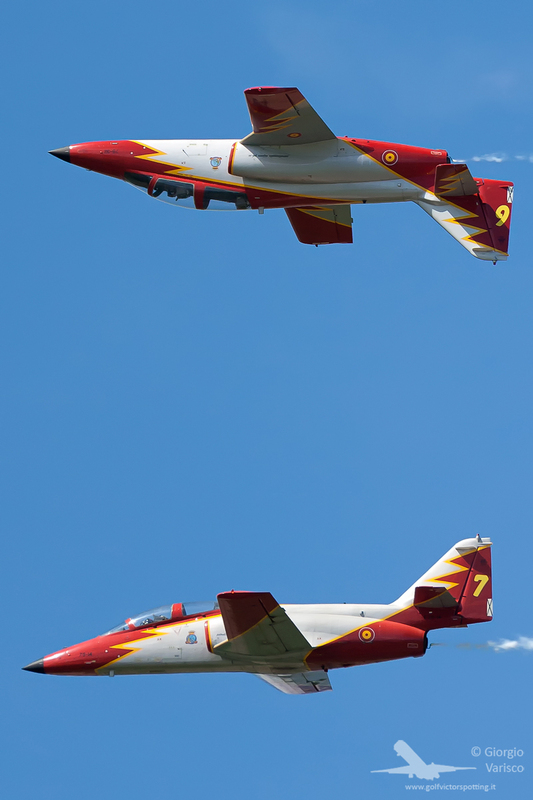 The wingman is keeping the wings at minimum sweep: this makes the plane more maneuverable at low speed and decreases stall speed, but increases aerodynamic drag. 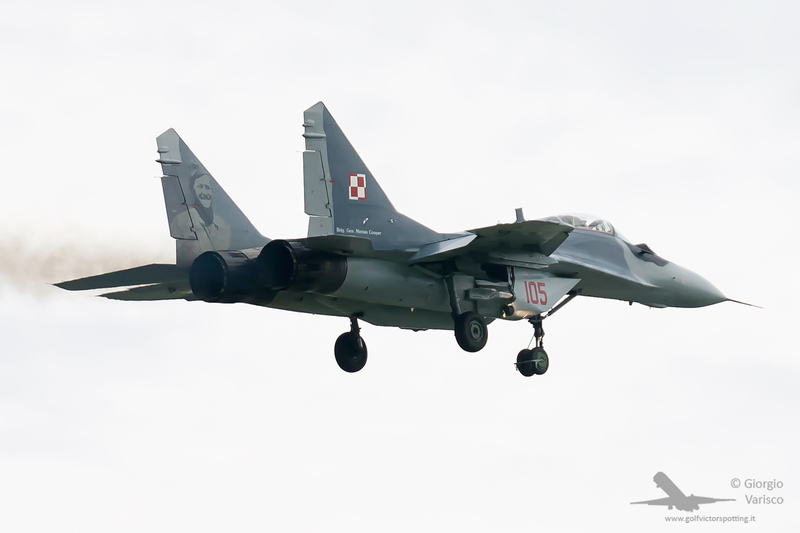 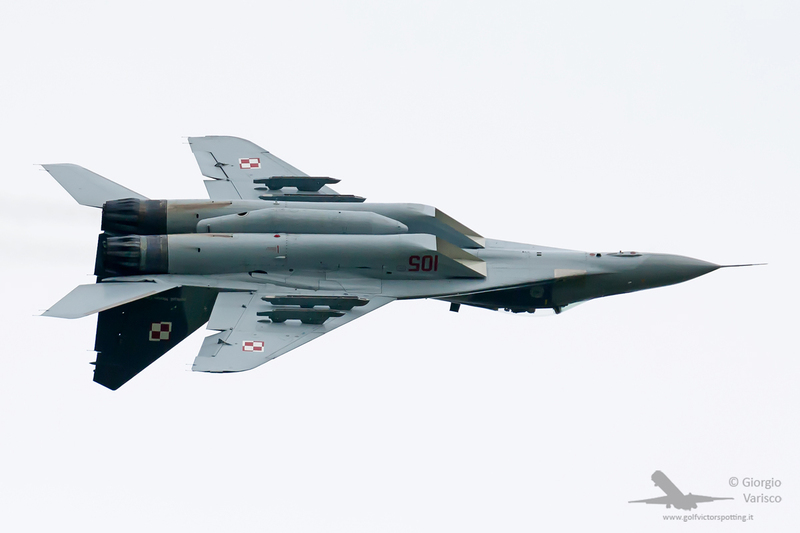 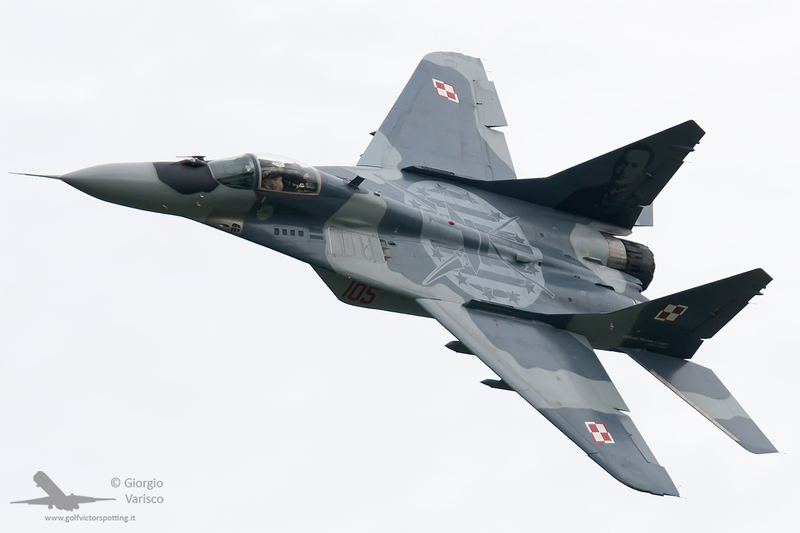 The Polish Air Force sent also a Mikoyan-Gurevich MiG-29, NATO codename “Fulcrum”. 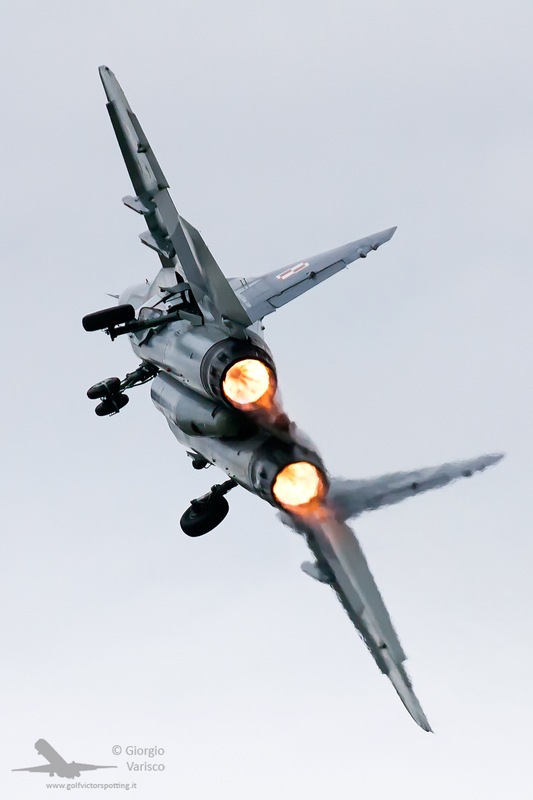 Thick black smoke, so typical of Soviet designed aircraft! 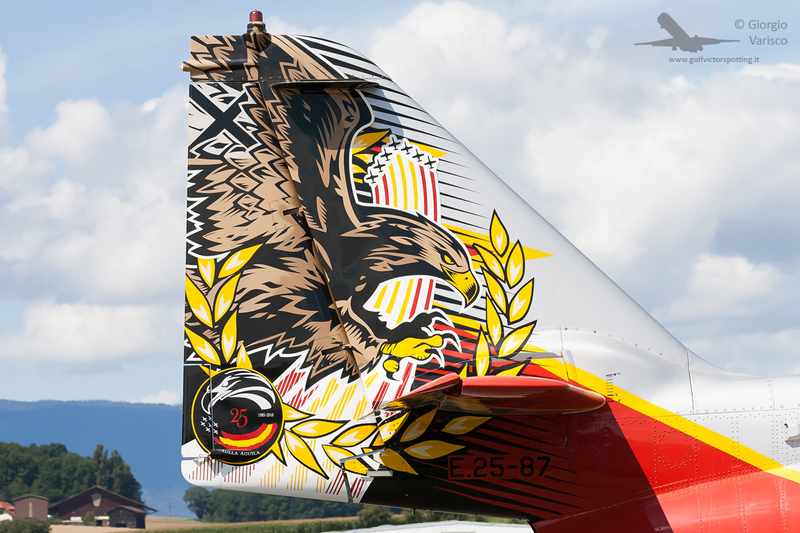 This aircraft is dedicated to Polish Air Force officer Merian Cooper, who was also co-writer and co-director of the famous movie “King Kong”! 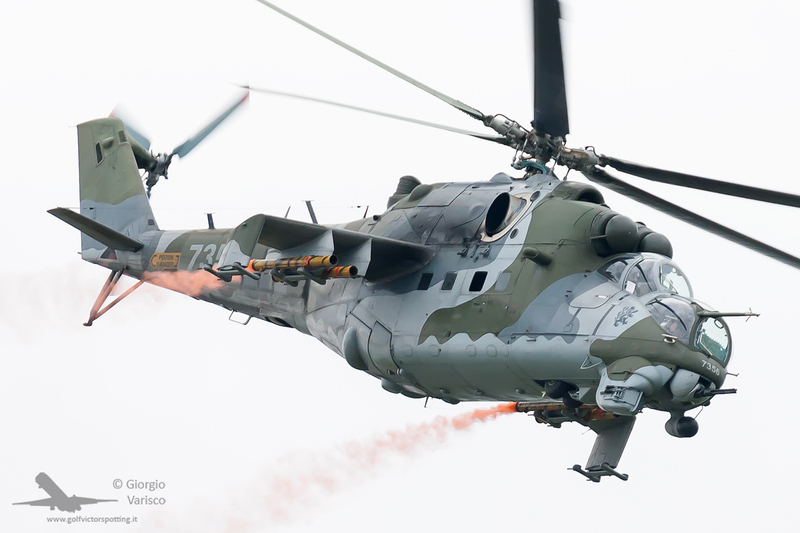 The Czech Air Force performed a display with a Mil Mi-24 helicopter, NATO codename “Hind”. 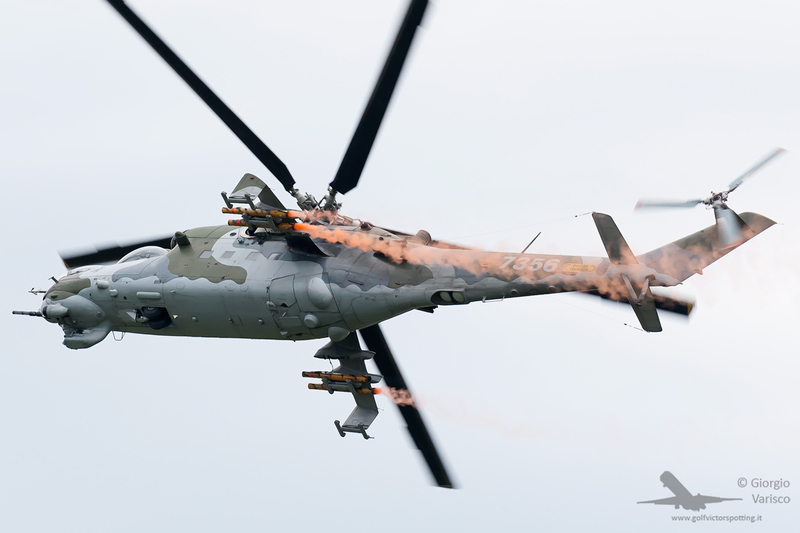 Built 80% with aluminium and 20% with badassery, the Mi-24 is a unique helicopter with no counterparts in the Western world: it merges the firepower of a gunship helicopter with the ability to transport a small group of soldiers in its cargo bay. 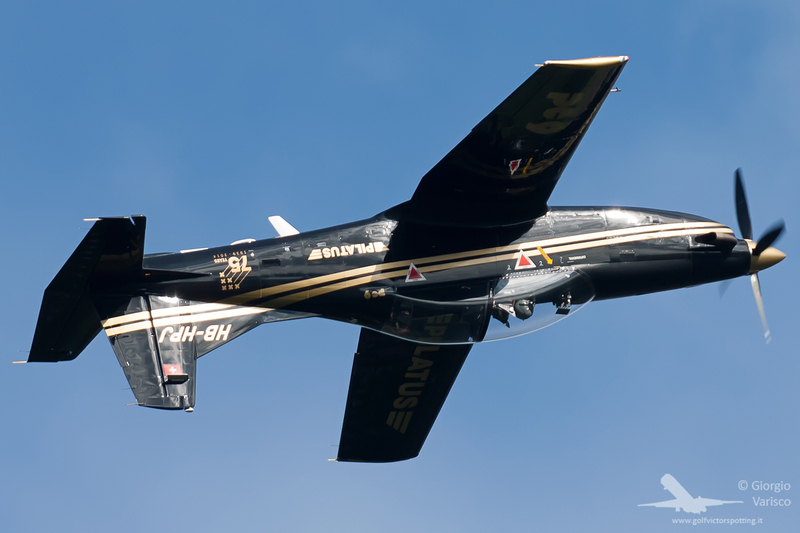 It is also probably one of the coolest flying machines ever built! 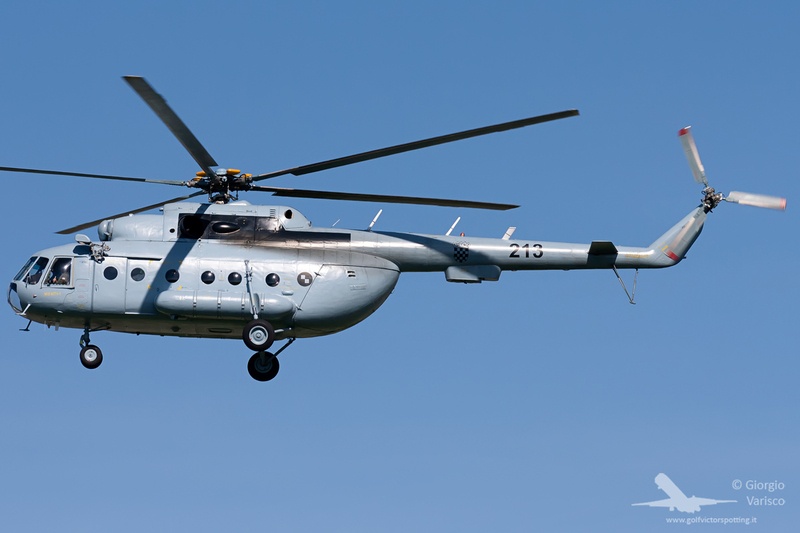 Is there something better than a badass Soviet-designed helicopter? 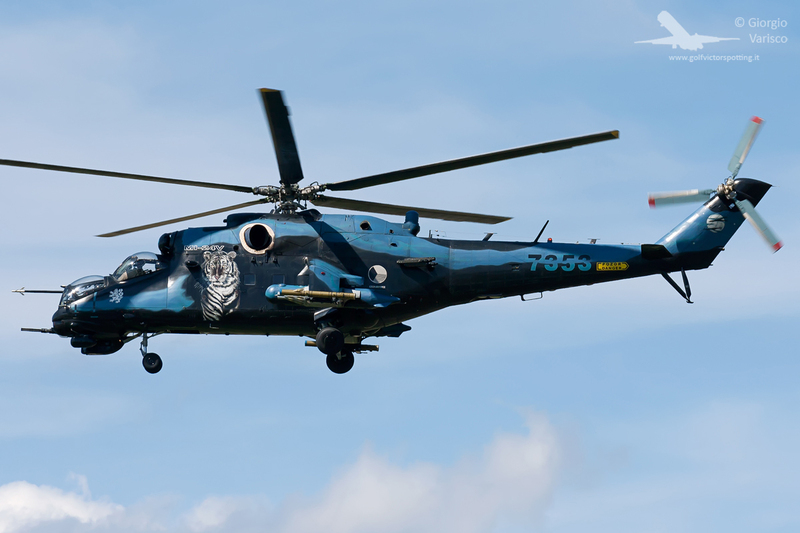 Of course there is: a Tiger Meet-themed badass Soviet-designed helicopter! 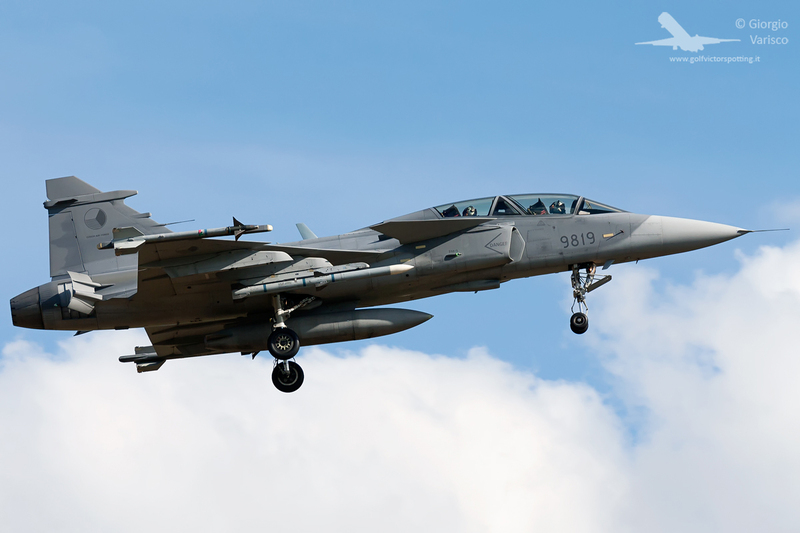 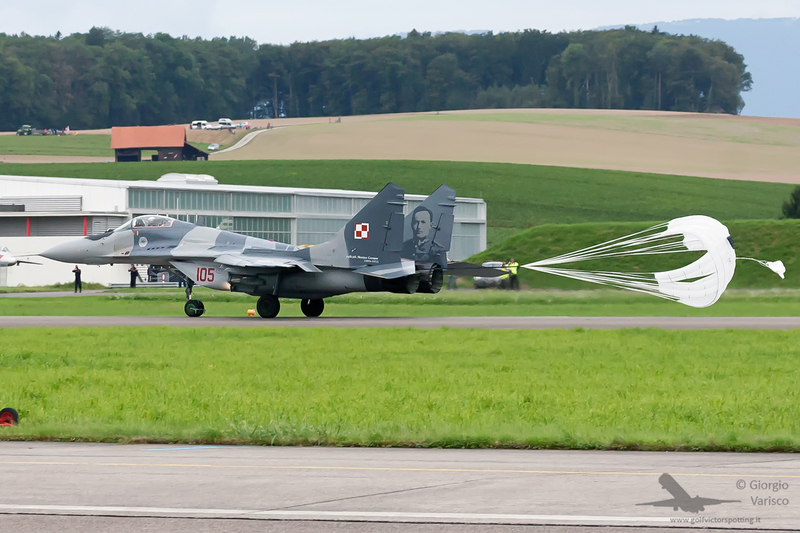 The Czech Air Force sent also a SAAB JAS 39 Gripen for the static display. 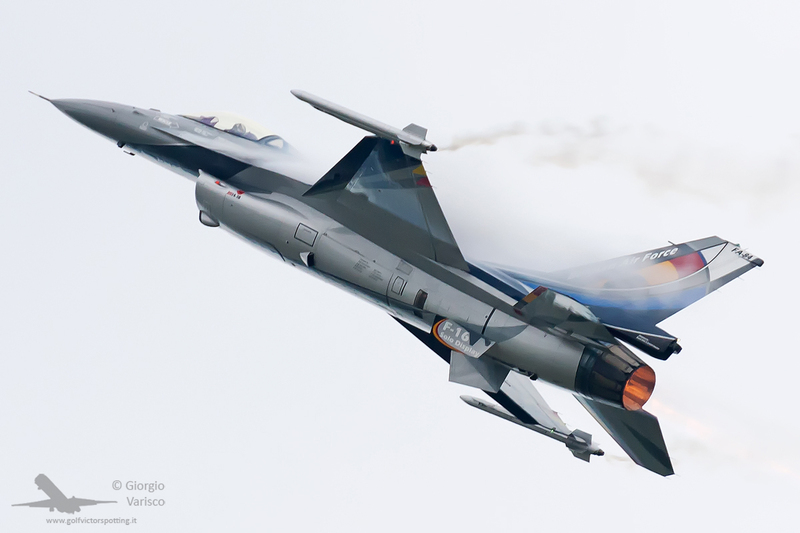 The Belgian Air Component sent 3 Lockheed F-16 Falcon, one of which (the usual special-coloured one) performed a stunning display. 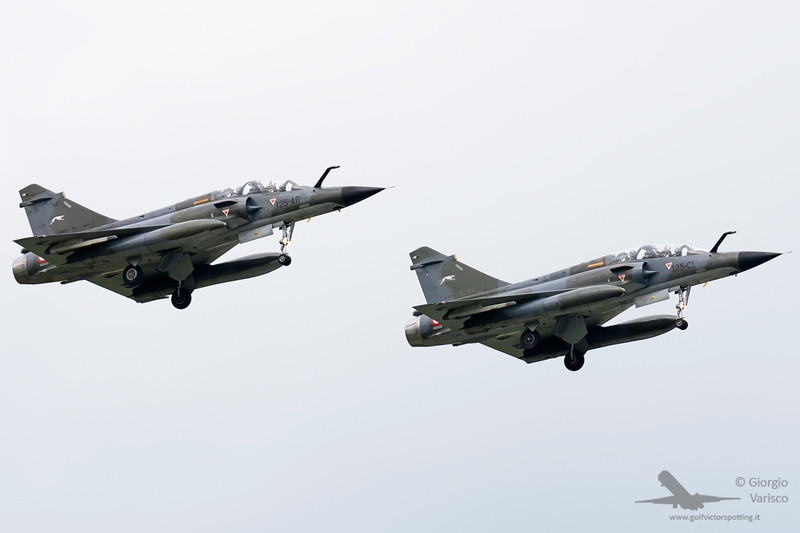 The French Aviation Légère de l’Armée de Terre (Light Army Aviation) sent an Eurocopter Tigre. 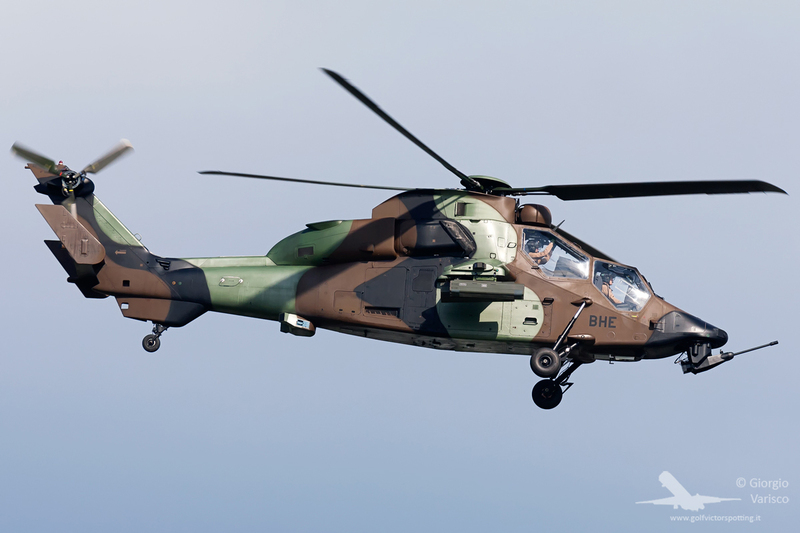 The Tigre is a joint French-German attack helicopter which suffered a troubled and very long development, and it was the first all-composite helicopter developed in Europe. 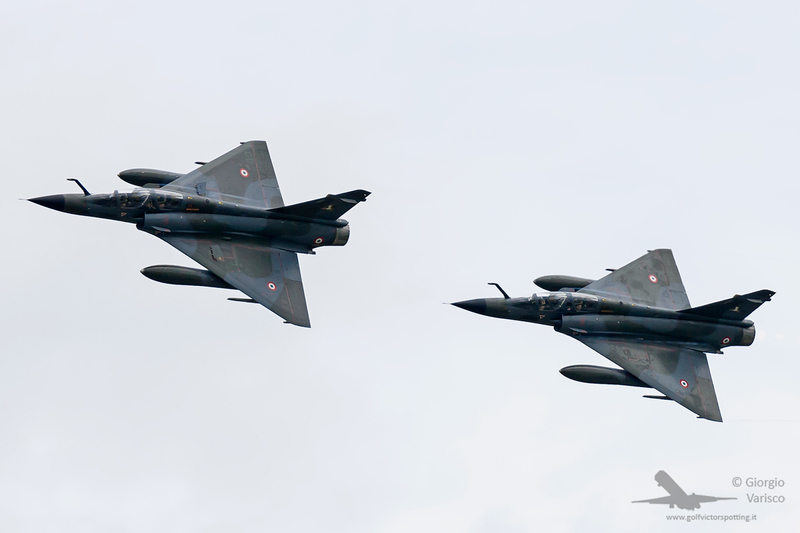 The French Air Force sent also the Ramex Delta display duo, flying two Dassault Mirage 2000N nuclear strike bombers. 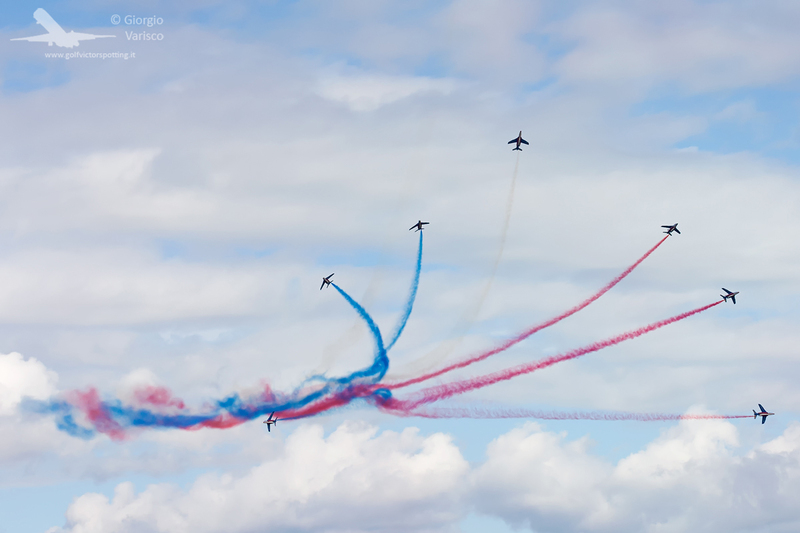 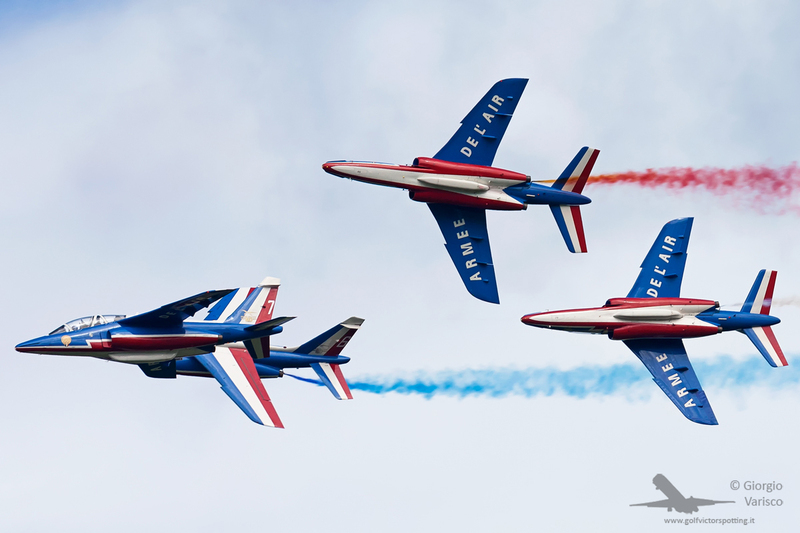 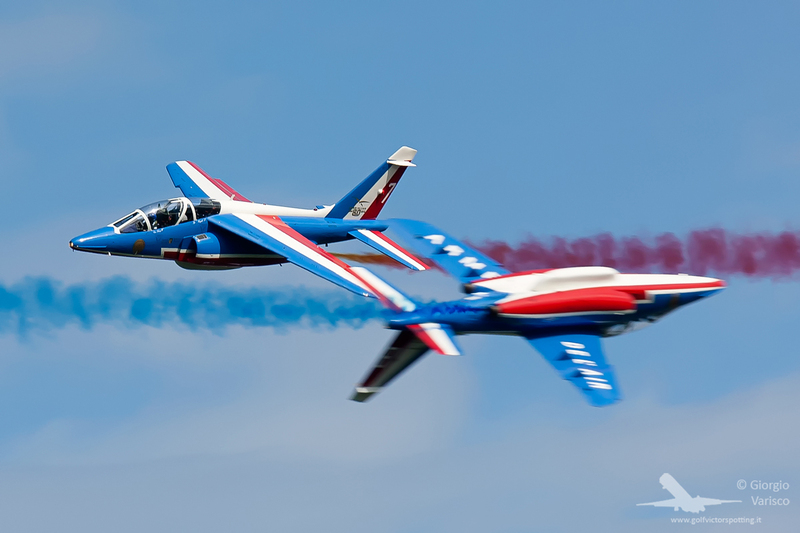 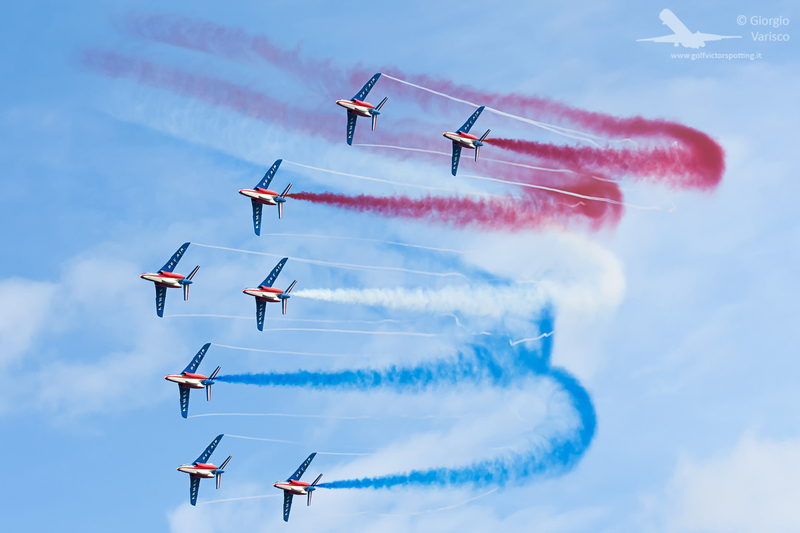 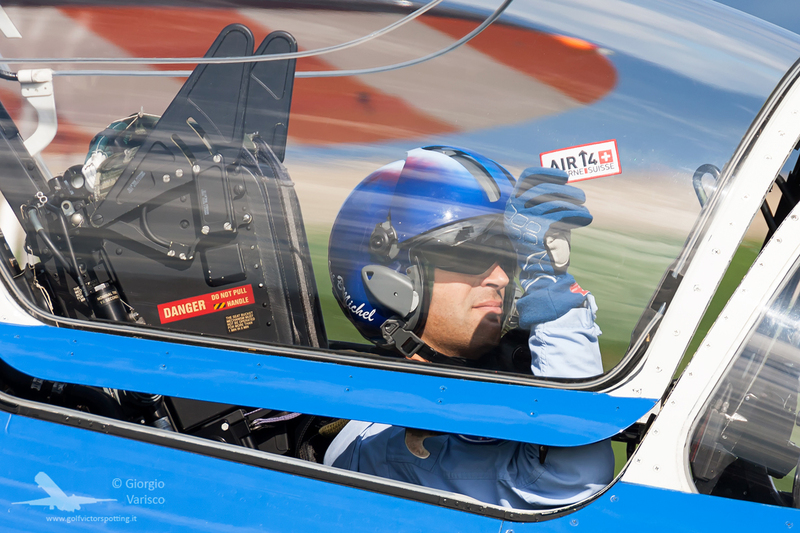 And obviously the Patrouille de France! 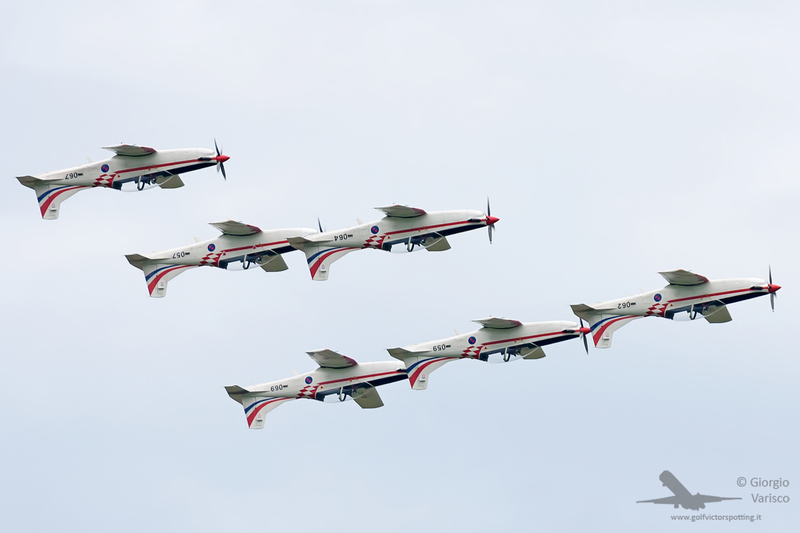 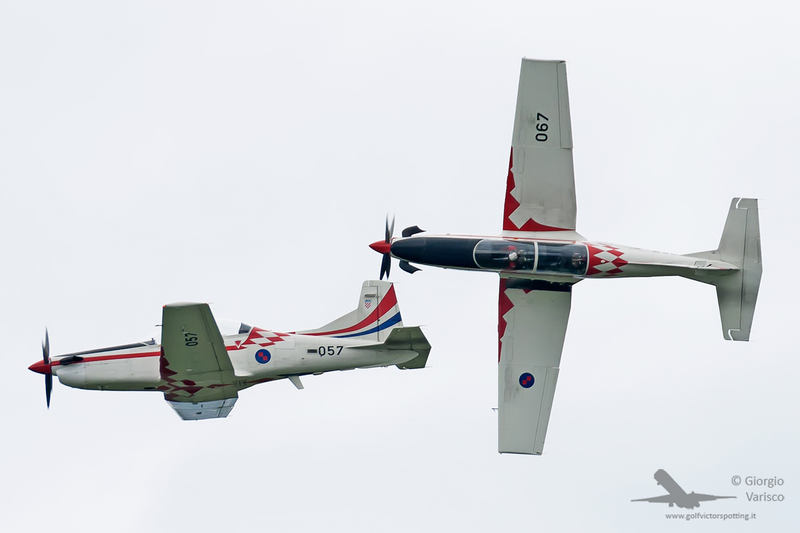 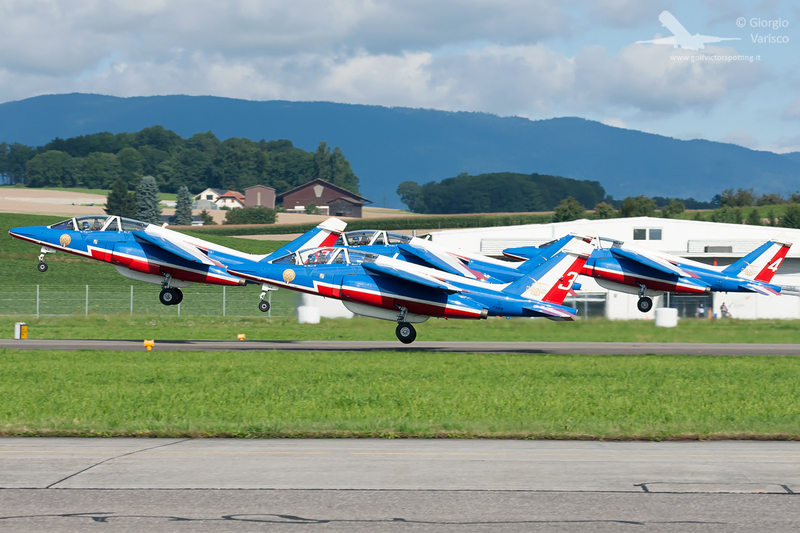 The Croatian Air Force sent its display team Krila Oluje (“Wings of Storm”), flying Pilatus PC-9 trainers. 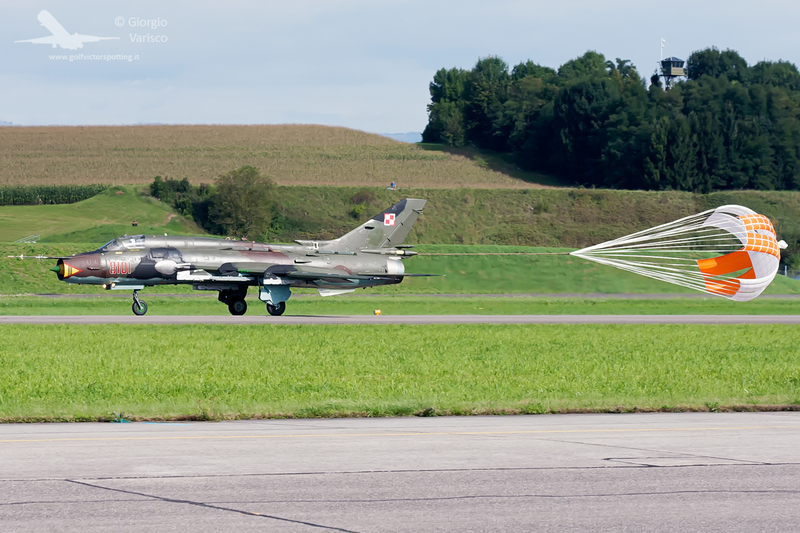 The Croatian Air Force sent also a load of pure Sovietness for the static display, a Mil Mi-8 helicopter, NATO codename “Hip”! 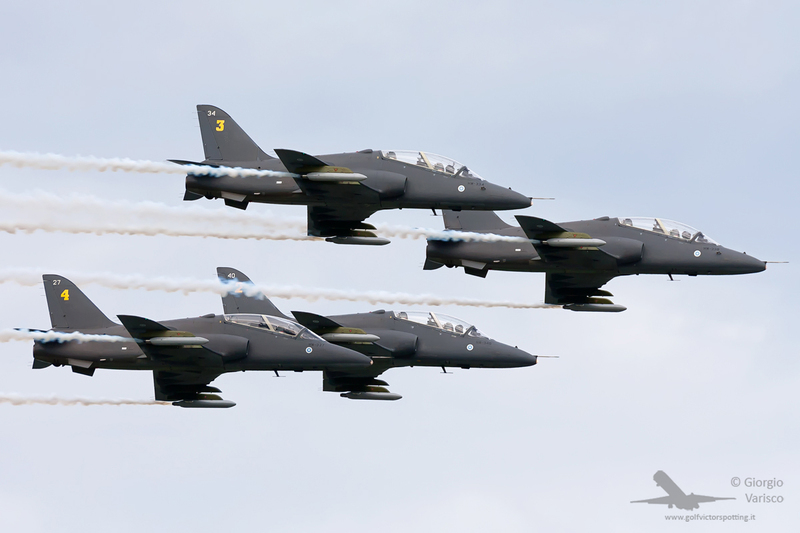 The Finnish Air Force display team Midnight Hawks made one of their rare airshows outside Finland. 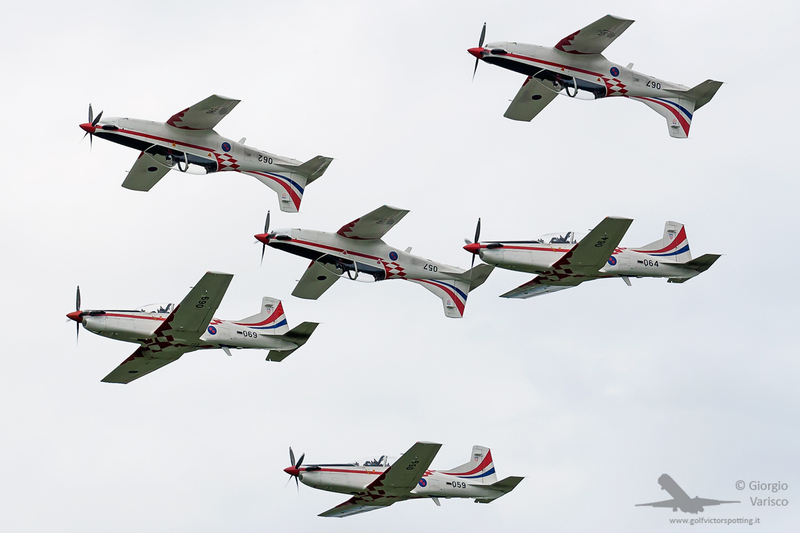 The Finnish Air Force Academy used to organize an summer airshow which was closed by 4 of its instructors flying in close formation. 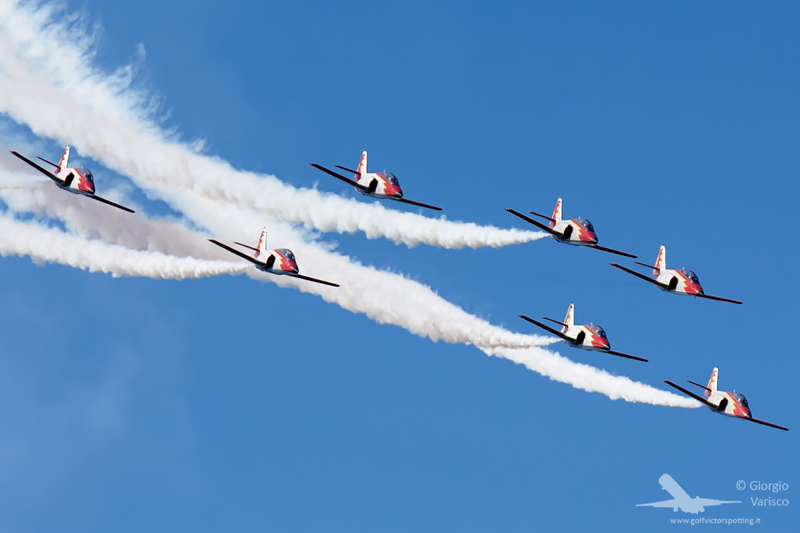 Since the sun sets very late in the summer at high latitudes, the instructors usually performed at midnight: this explains the display team’s name! 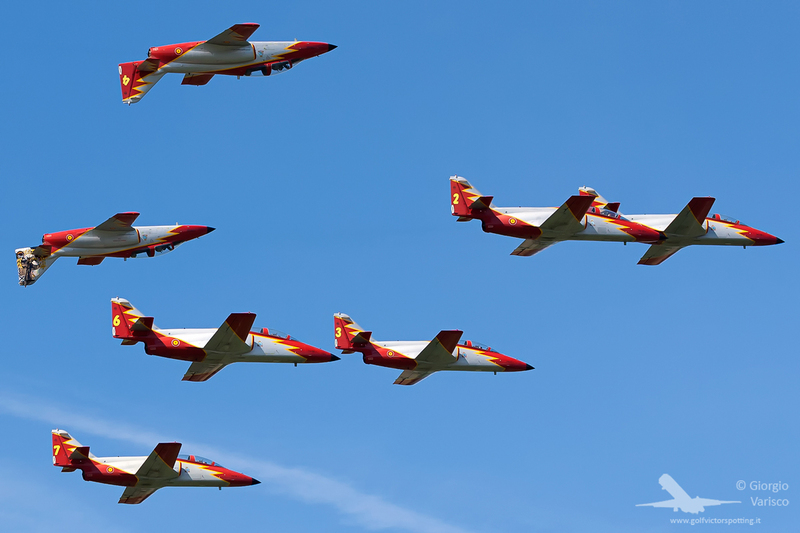 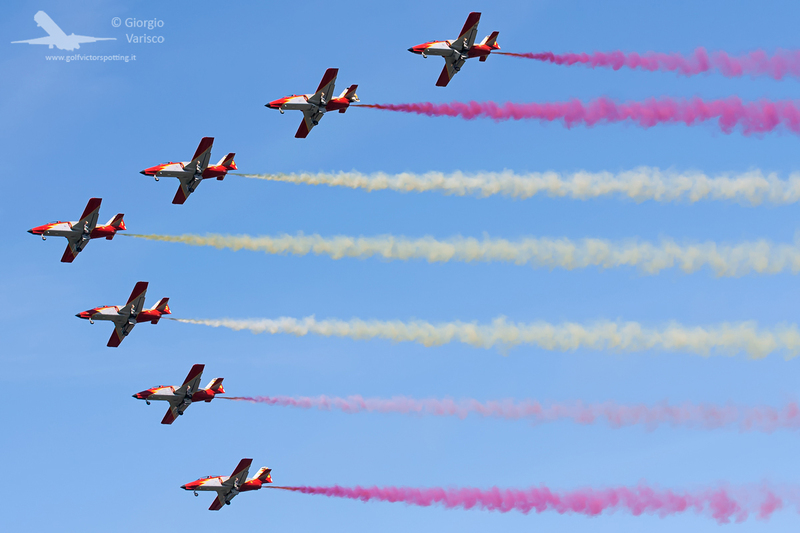 The Spanish Air Force sent the display team Patrulla Aguila. 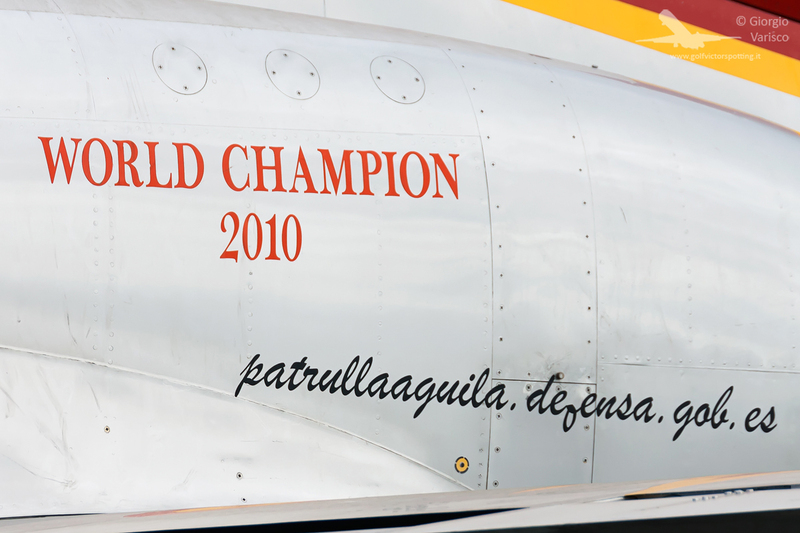 They are very proud of their 2010 Football World Cup victory! 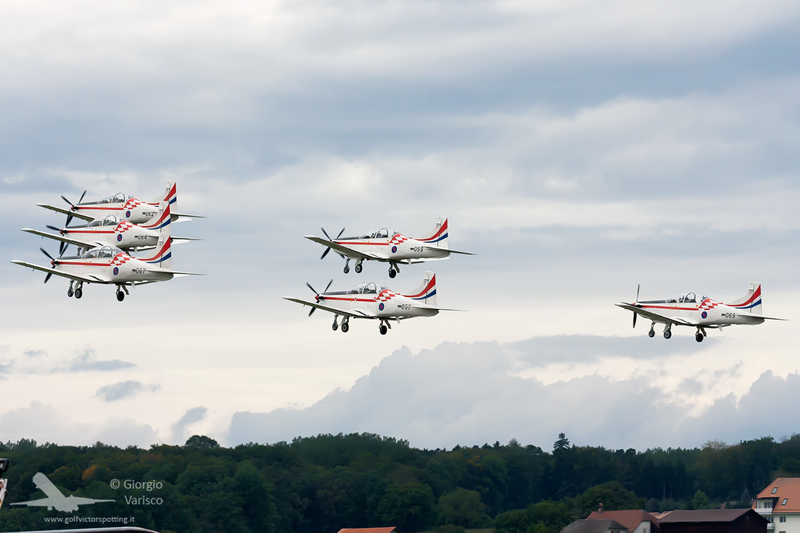 And finally the Swiss aircraft! 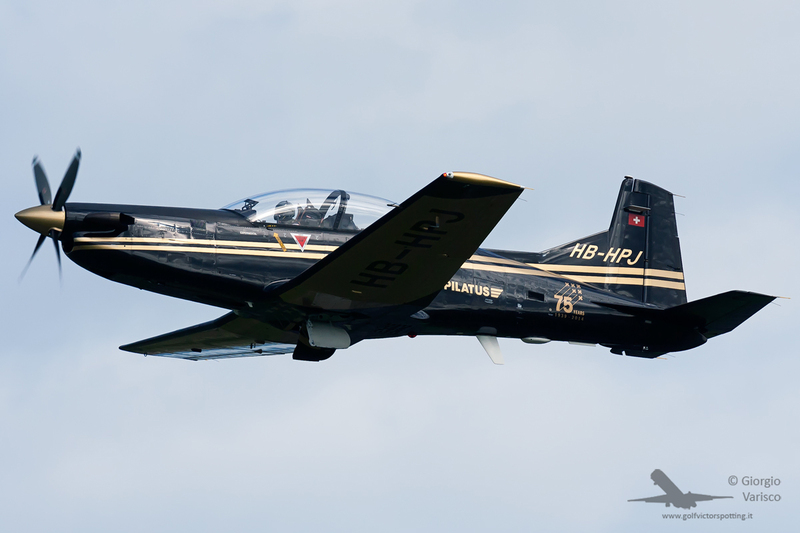 The Pilatus aircraft factory (which celebrates its 75th anniversary this year) sent a PC-9 flew by its chief test pilot Patrick Willcock. 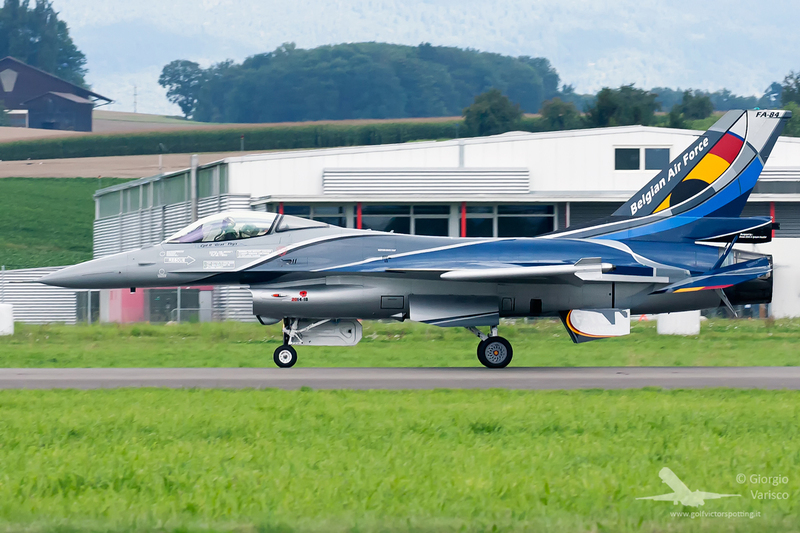 Wow, this is the first time I see it so close and real high definition.